Central catheter placement and servicing in the Vascular and Interventional Radiology suite, fully equipped with state-of-the-art fluoroscopic and sonographic imaging, offers greater comfort and convenience for an often fragile patient population. 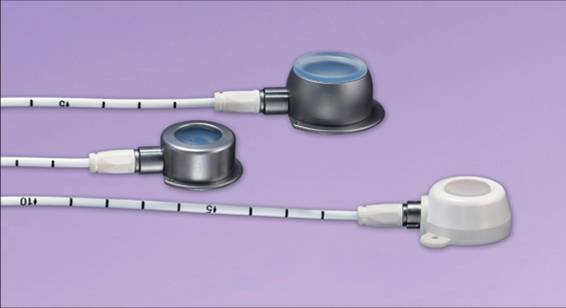 The state of the art in radiology has evolved to the point where image-guided placement of tunneled catheters such as perm-catheters for dialysis, PICCs, Hickman catheters and implantable port catheters is often preferred to surgically placed catheters. Ultrasound and fluoroscopic guidance allows safe, precise placement with less complications than the use of standard surgical landmarks. Also, the same interventional radiological approach eases catheter and port repair, if needed. The cost effectiveness of image-guided central catheter placement procedures is well established. Also, the turnaround times are significantly faster than in a traditional O.R. Therefore, procedures can be performed the same day in most cases and the cost to the patient and third party payers are significantly less. Reduced cost can be particularly striking when less risk due to proper image guidance and easy maintenance of the catheters using interventional radiology techniques are also considered. 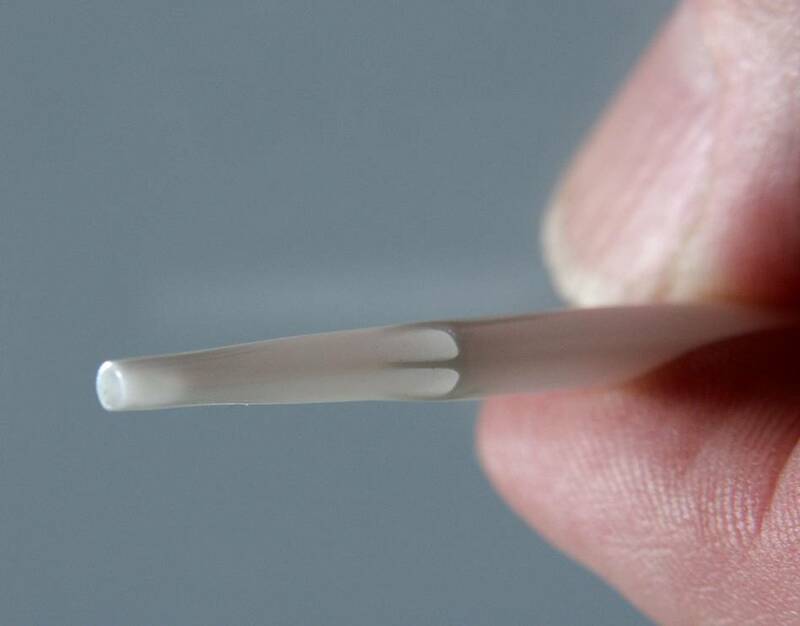 Which catheter material and design? A variety of plastic materials including polyvinyl chloride, polyethylene, polyurethane, and silicone is used in the production of dialysis catheters. The design of commercially available catheters varies greatly as far as the configuration of holes at the catheter tip is concerned. Some have end-holes only and some have end- and side-holes. Subclavian vein: With subclavian vein cannulation, there is a 10% rate of severe acute complications such as arterial puncture with hemothorax and pneumothorax. Also, when the catheter remains in place for more than 2 or 3 weeks, there is a 40–50% risk of subclavian vein stenosis or occlusion. Therefore, a subclavian access should not be selected as long as other central veins can be punctured. Unfortunately, it is commonly seen catheters placed via the subclavian vein, usually by surgeons. In interventional radiology practice, the internal jugular vein is selected for central catheter placement. Internal jugular vein: This is the ideal vein for access. It runs straight down to the superior vena cava, which obviously reduces the risk of malposition of the catheter and possibly also of central venous obstruction. External jugular vein: On both sides this vein opens into the subclavian vein almost at a right angle, which occasionally complicates implantation of stiff, central catheter. This may also provoke subclavian-vein stenosis and thrombosis. Common femoral vein: The frequency of catheter-associated bacteremia is higher. With ultrasound guidance and X-ray control of the course of the guide wire and later the position of the catheter tip (at the SVC/right atrial junction or in the right atrium), percutaneous implantation can be performed safely and quickly. Surgical implantation should be considered after multiple previous cannulations or after neck surgery (thyroid resection, carotid artery reconstruction, etc. ), or when ultrasound guidance is impossible or has failed. Catheter dysfunction and occlusion: Primary malposition or later dislocation of the catheter tip will result in inadequate flow. Interventional repositioning of the catheter tip or catheter exchange are necessary to allow for an efficient haemodialysis. Depending on the time of implantation, partial or complete catheter occlusion occurs in 30–60% of central catheters. A thrombus in the catheter hub can often be dissolved by local thrombolysis. A thrombus at the tip of the catheter or a fibrin sheath around it may resist local thrombolysis. This catheter can then be stripped off the thrombus using a transfemoral approach. If this maneuver fails, catheter exchange is usually necessary. Most interventionists prefer catheter exchange over the wire directly. Catheter-associated bacteremia Femoral-vein catheters have a higher risk of infection (and cause catheter-associated bacteraemia earlier) than subclavian or internal jugular-vein catheters. 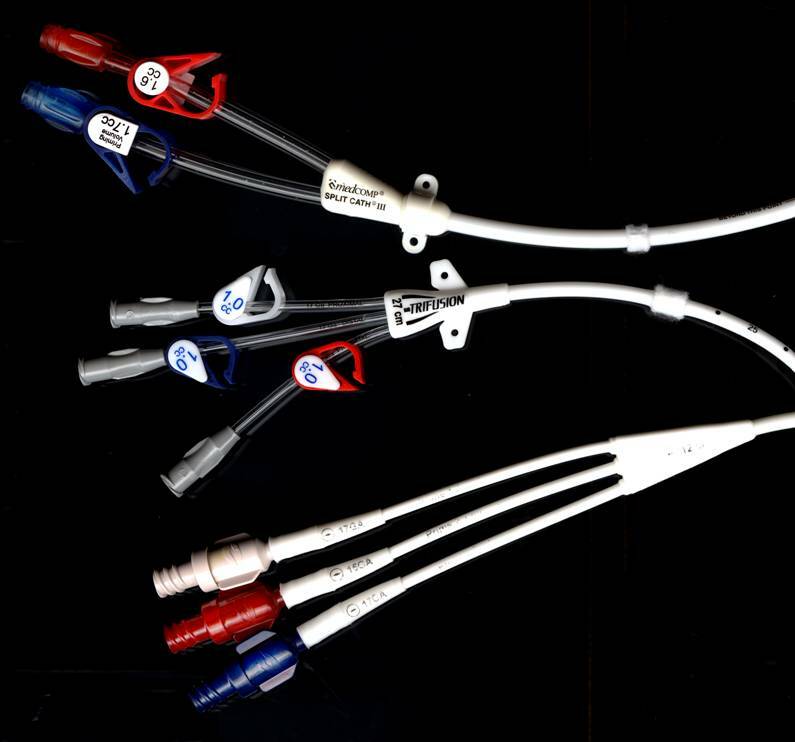 Multiple-lumen catheters have a higher risk than single-lumen catheters. Non-cuffed catheters probably have a higher risk than cuffed ones. The organisms most frequently isolated during catheter associated bacteremia are Staphylococcus aureus and Staphylococcus epidermidis. In the majority of patients manifest catheter associated bacteremia will not be cured by antibiotics alone. Infected non-cuffed catheters and cuffed catheters with severe, recurring, or treatment-resistant infection must be removed. The frequency of catheter associated central venous stenosis and occlusion is as high as 40–50% after cannulation of the subclavian vein, and may reach 75% once the subclavian catheter has been infected. Percutaneous dilatation of the stenosis (with or without stent implantation) is often successful and provides satisfying mid-term results. Case Demonstration#1: This case demonstration is a good example for potential risks of improper placement of a central catheter and appropriate management of potential risks. Image #1 shows a broken catheter extending from the left subclavian vein into the right ventricle (arrows). This is due to placement of a port catheter via the subclavian vein by a surgeon. It is not uncommon to see this complication, which commonly occurs due to compression of the catheter between the clavicula and the rib. This broken catheter poses a significant health risk due to irritation of the heart with this catheter and definitely requires removal percutaneously or surgically. A snare (black arrow, second image) was used to capture the catheter using fluoroscopy, the catheter was then pulled out from the groin (red arrow, 3rd image) by an interventional radiologist. Case Demonstration#2: This case demonstrates the importance of a fibrin sheath. 1st image shows a dialysis catheter in good place, but poorly functioning. 2nd image shows contrast injection through the partially pulled catheter demonstrating an extensive fibrin sheath formation. This fibrin sheath (membrane) was successfully removed (stripped) and a new dialysis catheter was placed. 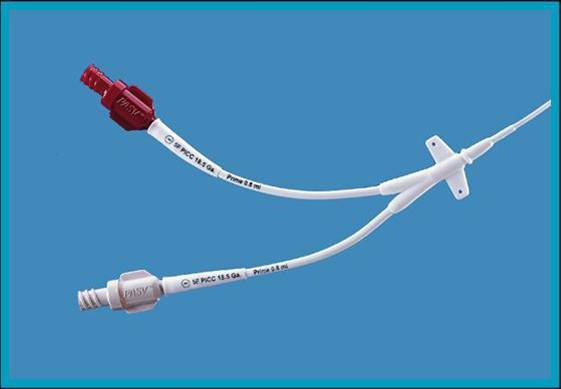 Disclaimer: Information accessed through this web page is presented in summary form in order to impart general information relating to image guided placement of central catheters (Hickman, Port Catheter, PICC, Non-tunneled and similar catheters). Such information is not complete and should not be used as a substitute for a consultation or visit with your physician or other health care provider. Dr. Orhan Konez makes no warranty as to the information's completeness, reliability or accuracy. Should you have any health care related questions regarding this matter, please see your physician or other health care provider promptly.